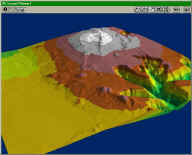 3D Analyst ($2500) is a set of 3D extensions to ESRI's ArcView ($1000), the dominant GIS application. I'm still trying to drape an image on a terrain. 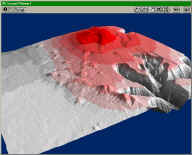 It seems to be supported, but there is no example showing how to apply an arbitrary bitmap to an elevation (or vice-versa). 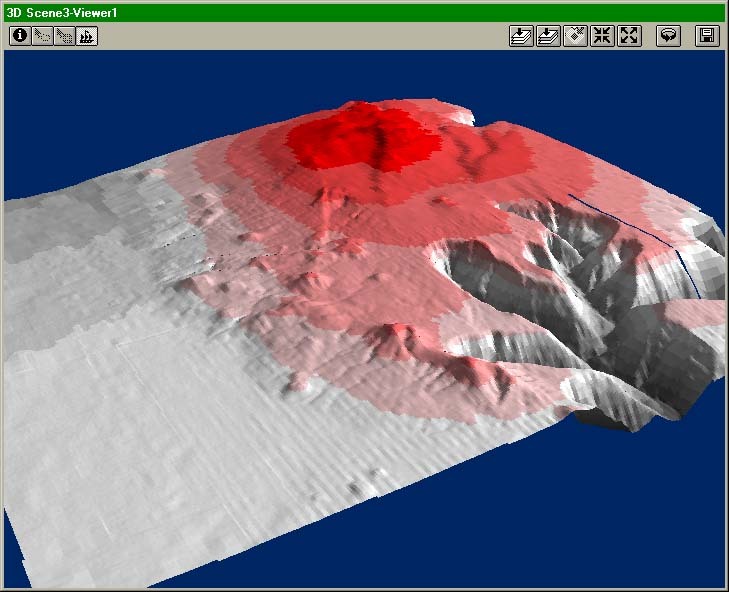 doesn't let you navigate directly - the only metaphor allowed is "rotate the scene"
Given all these problems and limitations, i wouldn't recommend ArcView/3D Analyst for any virtual terrain work. filed Incidents #42133/#42153 with support at (909)793-3774 - they gave the solution for the DEM files which is to rename the directory path of the DEMs to not contain spaces. Ugh. it wouldn't drape because the extents were different, but it wouldn't let me change the extents of either data source either. Grrr. the online help says "Standard USGS 7.5-minute, 1-degree, or any other file in USGS DEM format is supported"
the import dialog doesn't list DLG, LULC, or any other USGS formats as inputs! 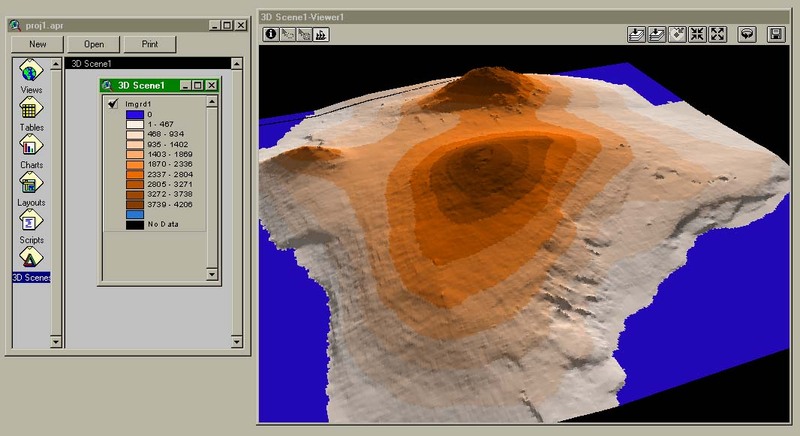 does 3D Analyst have any way to extrude the lines into road polygons? appears the answer is no.